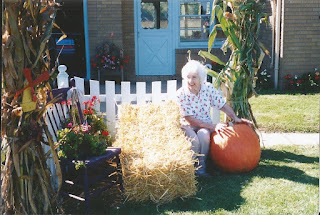 Many people ask me, "How did Grandma's Pumpkin Patch start" or "Is there really a Grandma?". 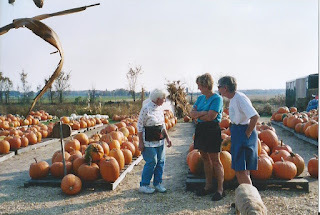 Yes, there really was a Grandma, and we happen to stumble onto pumpkins. Grandma Sandow, my Grandmother, the mother of my father, was the Grandma of Grandma's Pumpkin Patch. Her name was Delia Joan Sandow. Her maiden name was Owens and she was a remarkably strong person. She was born in 1922, grew up during the depression, assembled machine guns at the AC Delco plant in Flint during the war, and was a wife of a returning solider, mother to five children, and the person who held everyone together. All her life she was taking care of someone or something. Her husband worked at Dow Chemical and she tended to the kids and the farm while he was at work and had dinner on the table when he got home. Grandma's Pumpkin Patch was originally a pig farm and had over 200 pigs, chickens, cows, horses and other farm animals to take care of. Grandma Sandow tended to the farm and helped with the crops in the field. She was always working and was grateful for the opportunity to have a farm. 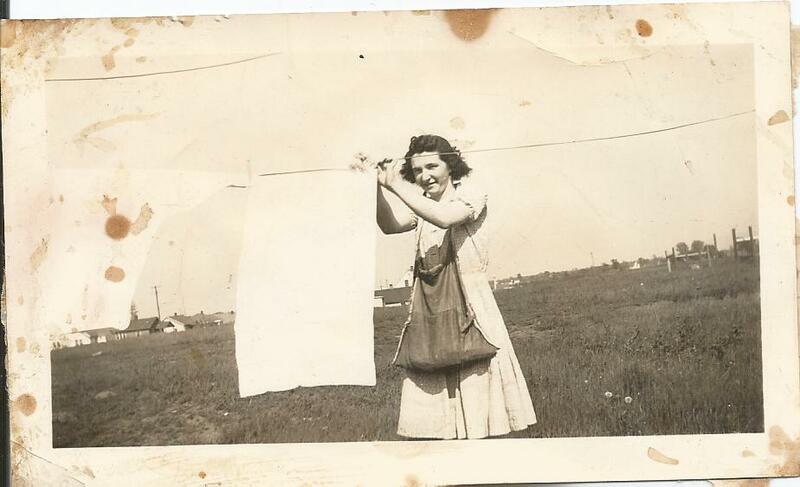 After the depression, she didn't take anything for granted. Even in her 80's she was still saving pieces of soap to mend into a larger piece of soap. Soap was a luxury in the depression and she never took a luxury for granted. When her children grew up and married Grandma then started taking care of her grandchildren, along with the farm. 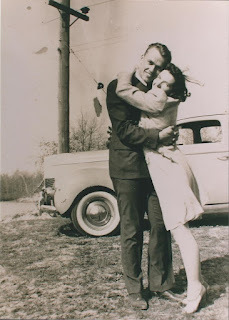 He husband passed away in 1984 and she continued to care for the farm. Although our family no longer raised crops after Grandpa's passing, we always had animals on the farm. Once the grand kids became old enough to do the chores, and drive, and take care of themselves Grandma started getting ill. We thought she was going to pass away, and were concerned about Grandma. It turned out Grandma was not sick........she felt useless. Her whole life was focused on caring for others and now she felt she wasn't needed. He son Al had an idea....that just might work. Al challenged Grandma to a pumpkin growing contest. Pumpkins are one of the longest growing crops, they need roughly 120 days to mature. We plant them around Memorial Day and harvest them in September. Al planted a pumpkin plant back by the barn for him to tend to and one in Grandma's back yard for her to take care of. Grandma was determined to win this pumpkin growing contest! 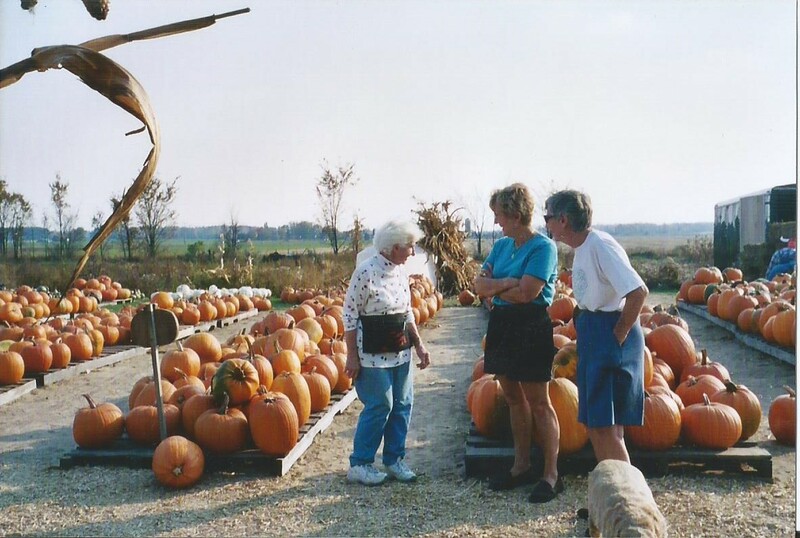 Back in a time before the Internet and box book stores, Grandma went to the local library to look up pumpkin growing tips and the local hardware to talk to the garden specialist. She found all sorts of trick from ph levels to pouring milk on the vine of the pumpkin. She tried them all and ended up with a 500 pound pumpkin. Al mysteriously only had a 2 pound pumpkin. One pumpkin plant can produce up to 10 pumpkins. Al and Grandma had too many pumpkins and started selling the extra pumpkins at a stand in Grandma's front yard. This was no ordinary stand, it came with full customer service. With her farmer hospitality, Grandma would invite customers into her house for cookies and a snack, and sometimes even made them lunch. She truly enjoyed being able to talk to customers stopping and to help them pick out a great pumpkin. Word spread quickly about this very cute 'grandma' that sold pumpkins out of her front yard and the stand became busier and busier. The following year Grandma enlisted the help of her two children that lived in the area, Al and Suzie, and their families. Pumpkin planting became a full scale operation with the family planing by hand in assembly line form. One person would poke a hole in the ground with a rake handle, the next person placed the seed, the next covered the seed, and the last person watered the seek. Two acres of pumpkins were planted by hand for years, eventually moving up to a one row 1938 John Deere planted. The only problem with a planter is the discs turning inside the planter to place the seed were too small and crushed the seed. That meant someone had to ride on the tractor hitch and place the seed one by one in the planter. Al put a 2x4 on the hitch for the kids to sit on and gave them a "hot seat" for cushioning. If someone was over 5 feet tall their feet drug on the ground. It was a labor of love. Eventually the family was able to move up to a pneumatic one row vacuum planter so we would no longer have to place the seeds by hand. This was such an exciting event, the youngest grandchild was allowed to skip school and go with Al to go pick up the planter in Grand Rapids. Grandma's road side stand grew in popularity but people started asking to see the animals she had on the farm, so the family added a petting zoo. The following year a tent was added to the stand. Then one of the grand kids suggested adding a corn maze, and the road side stand kept growing to become Grandma's Pumpkin Patch. We were founded on the principles of a good value, farmer type hospitality and a great family experience. 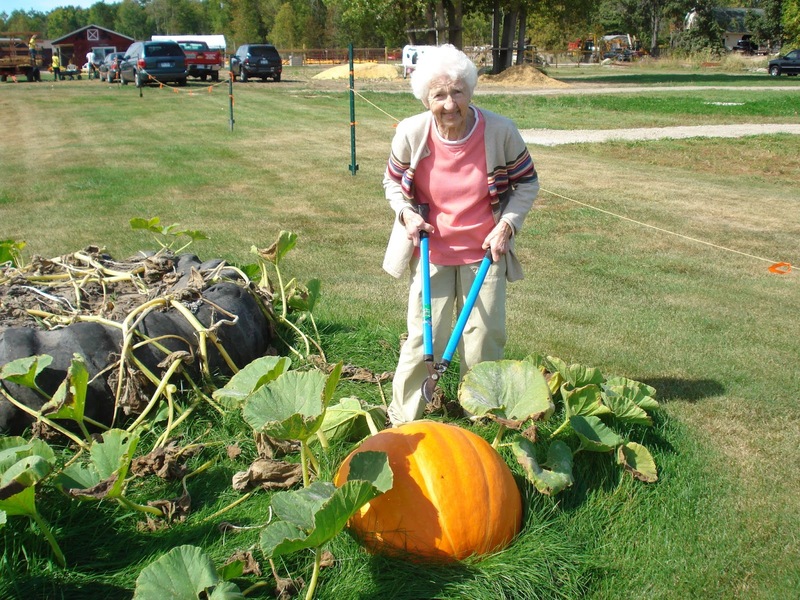 Grandma's Pumpkin Patch was founded in 1994 and has been a part of the Midland community for over 20 years. We are proud that generations of families can enjoy our pumpkin patch! Grandma Sandow passed away in 2013 at 91 years of age. She was the soul of the pumpkin patch, and we continue her tradition of the family farm. about Grandma's Pumpkin patch with naration3 from Amanda King on Vimeo.